C- DODGE. do not forget this key exists! To those of you who remember my first full game, Rotating Agent KoKo, you probably know I'm a bit shy when it comes to development, so I've been hesitant to telling people about my newest game, Jack the Reaper (though this topic should be a hint as to what I decided). 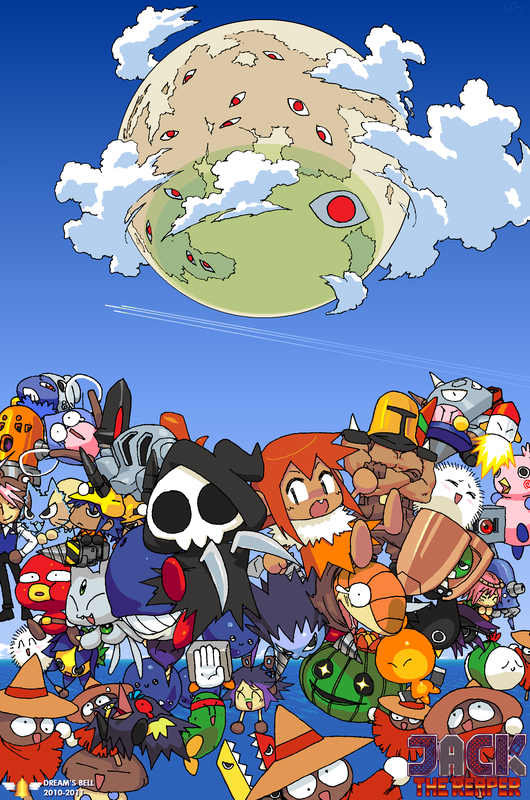 Jack the Reaper is a 2D platforming game revolving around the titular Jack, a custodian of the dead who must investigate a strange occurrence: the moon has fallen from the sky onto Earth, and all the souls that dwell there have returned to the world of the living! Jack must restore the natural order, fighting through countless levels and bosses to put the dead back to rest. The game will be presented as if it's been made for the SNES- graphics, music, and presentation-wise. 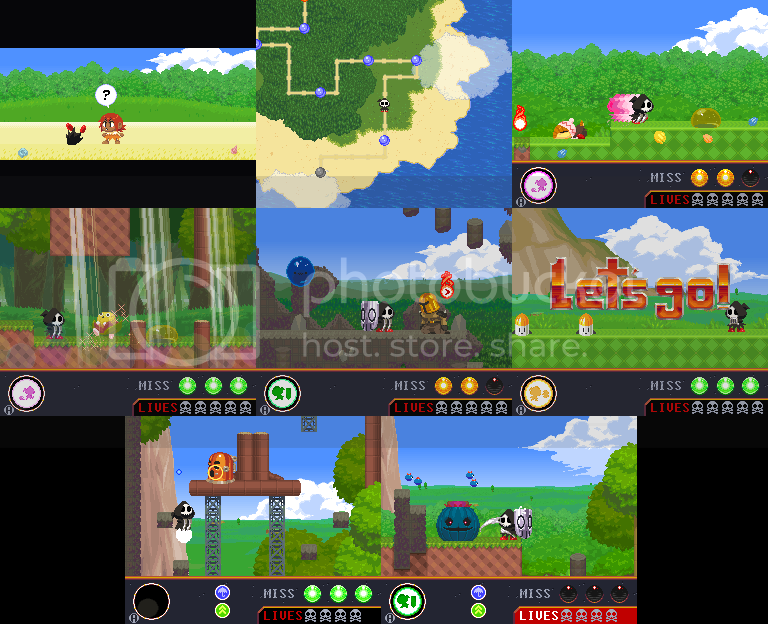 The gameplay, on the other hand, was inspired by the Kirby games of the old days (Kirby 64, in particular). Boomerang: Throw a deadly boomerang from afar! 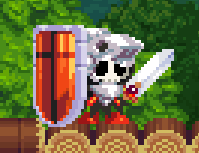 Shield: Protect yourself from oncoming enemies and projectiles! Using these abilities, Jack can overcome any obstacle! Graphics have a nice style to them and idea sounds fun. Always love to see concept art . LOVE your doodles and art style! Very similar to the style I'm going for in my current project (link below), but yours is better executed. I'm interested in seeing your environment work! By the way, what did you draw your concept art with? Gel pen? Permanent Marker? The lines are really clean and vivid. will this be harder than kirby? i love the concept but dream land for game boy was the only one that really held my attention, and i was like eight at the time. This looks really, really nice! That king statue especially is fantastic. I think I'm going to explode the second I touch this game. I'm surprised you got around to making another game so quickly! Wasn't Rotakoko just, like, a few months ago? Anyhow, this is looking really good! 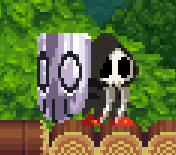 You read my mind about the whole "yet another chibi grim reaper game", that seems to have become a trope within action platformers. That 'soul combination' system seems like a really nice evolution of the classic Kirby formula. And of course, your trademark art style helps things out an awful lot. By the way, what are those mecha heads on the middle sketch? Are those going to be in the game, or were they just early sketches for a possibly robotic Jack? Just curious, though, how many different abilities will there be? It'd be a bummer to only have three or four different powerups. I'm hoping you can release at least a test build to us sometime soon, I can't wait to get a feel for this game! Also, while the ability combination system does sound like Kirby 64, I think using Gunstar Heroes as a reference would be a great idea as well, since this looks more combat focused. ALSO ALSO: That story is absolutely amazing; perfect blend of simplicity, intrigue, and fun. Wasn't sold initially, but then I saw your concept arts. Nice stuff. I can't put my finger on it... But your art style looks nearly identical to one I've seen before... In either an anime or game, mostly likely. Right now, what it reminds me of eludes me. The expressionism and line style are nearly identical though. Whatever the case, I really do like your art direction in general-- Especially liking the title screen. Kirby was one of the first handheld games I played, so I'm definitely looking forward to play this one! Time to start answering questions. I, too have been let down with the way the Kirby series is going... I've been waiting years for the unnamed Kirby title to come out, but it seems that it will never happen at this point. I draw the concept art with a generic gel pen, and sometimes just a mechanical pencil if I feel like being more careful with a design. I use mechanical and gel so I can get cleaner, thinner lines. As a matter of fact, I'm pretty sure the page up there with the "king statue" was drawn in pencil. I just tweaked it to make it show up better. The game tester's I've forced Jack upon have told me that, yes, this is a pretty hard game. I'd say that it is harder than the average Kirby game. Man, I always love your art, and I obsessively follow your stuff on DA. Also, I didn't think many people actually liked RotAKoko. It's actually more surprising to me that I'm going through with another game so soon. I have ideas constantly that fall through because of either lack of motivation, or another idea overpowers the old one. The mecha heads were actually just me brainstorming the form of the main character. I worked from right to left, and you can see the process in which I had to refine his character. as for abilities, there are eight base abilities, and almost all of them will be able to fuse into a new one. so... you can do the math if you want. I will release a test build... when I'm ready. Ah, yes, this does seem a little more like Gunstar Heroes. since you will switch out abilities pretty commonly, as opposed to Kirby, where you'd keep one for a long time. Oh, I didn't include any actual screenshots yet! This looks really awesome man, keep it up! Also, that art is even BETTER than what I was expecting out of you! I'm surprised to see that you actually have it playable already, as well; you work fast, man! How close to a demo are you? nice, are those actual screenshots?! From what you've posted, this game looks way past 40% completion. From the screens, I see three of the powers are Speed, Shield, and some kind of projectile attack (I'd say it was Boomerang, but the soldier guy's power-up looks way more like it, so...Yellow Hadouken? ), so that's four out of the eight; can't wait to see the others! Also, how will the combination thing work? Will the two consecutive souls you pick up combine automatically? I only see the one slot for an ability, so I don't know if the Speed or Hadouken thing is actually a combination power. Wow, I didn't actually notice the grille until now. Good eye.